Pipsticks Postcard with postage – Estimated Value $2.00? The postcard used to be blank and now it comes preprinted with a design you can color and embellish with stickers. These trophies and stars are fun to put on my students’ papers to congratulate them on their efforts. 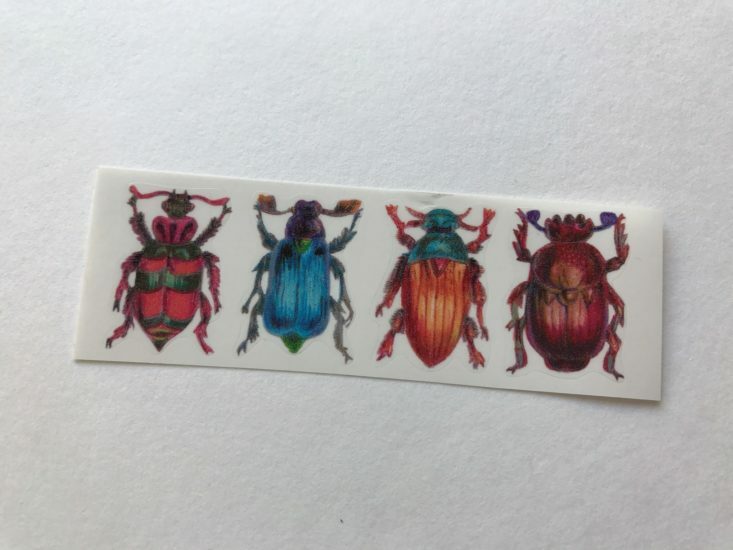 These beetles are so detailed, I love the intricate designs. The stickers are printed on a clear background so they look especially nice when placed on colored paper. These bird stickers are adorable. They’re mostly common varieties I see around my feeder at home, except for the one that’s blue and orange on the chest. Anyone know what kind that is? These sweet bears are amazing. My favorite on the right-hand side is watering a cat. These are my favorite this month for sure. Mrs. Grossman always has such cool stickers. These horses are beautiful with their bodies caught in motion and their tails flying out behind them. 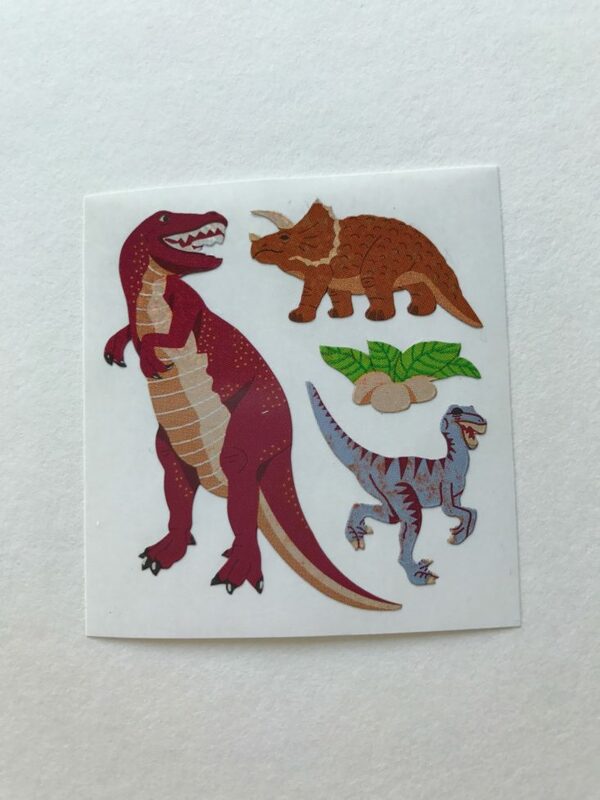 My son was very excited to see dinosaur stickers this month. The T-Rex was his favorite, but he wished there were more of them. These spunky chickens will be perfect to decorate the envelope when I mail my friend her birthday card. She loves chickens and lives on a farm. Puffy pastel llamas! The color palette reminds me of marshmallow Peeps at Easter time. This month there was only one sheet from Sticker Club (normally they send two) and the girl with chopsticks in her hair and freckles on her cheeks is pretty darn cute. These matte stickers have a Japanese vibe with sumo wrestlers, hens holding painted fans and delicate flowers. My kids always look forward to the scented stickers each month. These brightly colored school supplies smell like apples. Perfect for autumn! This sheet came with a nice variety of rescue vehicles. The helicopters with purple blades are especially fun. These sea turtles have such gorgeous shades of green. A whole sheet of fun mini superheroes made my kids very happy campers! They loved looking at each costume and even gave them funny nicknames. 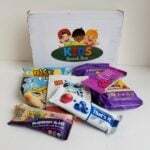 Verdict: Our family really loves the Pipsticks Kids Club Classic! We always think they have a wide variety of sticker designs and styles. The value was certainly there as this pack cost $14.95 (including free shipping) and I’ve frequently seen full sheets of stickers sell for $2-$3 each. One thing we really miss though is the colored sheets of paper they used to send. This is such a fun subscription for sticker lovers of all ages; I highly recommend it. I think the llama stickers were also in Stickii a few months ago when they did their llamas + dinos box. Still super cute! The blue dinosaur looks like he’s a 1970’s era game show host. I swear he’s had his teeth capped!